They’re looking to buy or sell in your patch and they want help. Not just garden variety, “how can I help you” airport rental car counter help, I’m talking about the kind of help that almost instantly builds a bond where the help seeker says “Wow! This is freakin’ awesome help. I want to team up with these guys”. Here’s an example of a real estate website that comes up quite a bit. So far, this blog has had more than 90,000 unique visits. That means 90,000 real people with heartbeats and needs have searched for specific help and clicked the link. That means that every day, more than 100 people are finding this blog in an online search and clicking on the link. 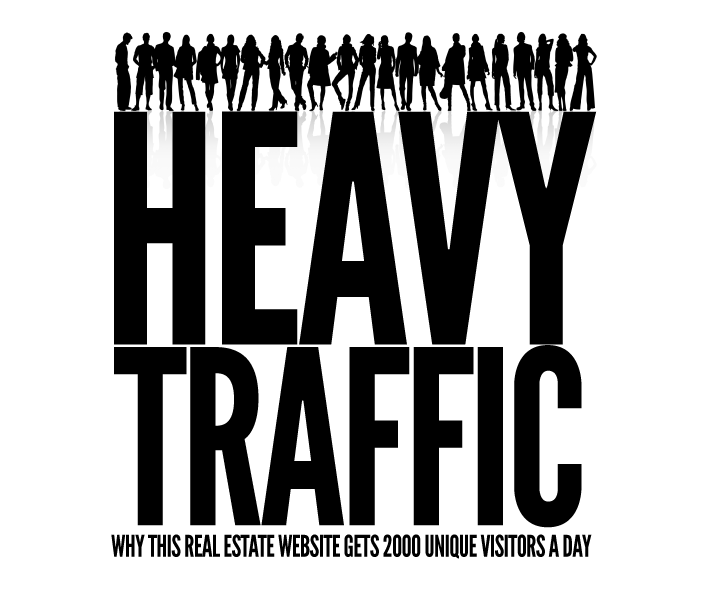 There are only has 733 words so each word is responsible for attracting 122 potential real estate buyers or sellers and this number rises daily. I don’t know of any free real estate success tool that works that hard or that well. On the 8th of November 2016, the good people of America elected a new president. But not all Americans were happy about this and a good number thought about heading north to the golden land of hockey, beaver and maple syrup. The main Canadian immigration website crashed around 8pm on election night. Or if they Googled ‘buy real estate in Toronto’ chances are they would have discovered this well written informative blog. I’ve featured Melanie Piche on the show a couple of times and her interviews remain some of my most popular episodes. Okay, she can write really well and her writing is engaging and entertaining but she also understands the power of writing consistently and offering valuable and highly targeted information folks love to read. This is the sort of writing that wins friends and influences people. Take a look at the smorgasbord of topics she offers. With blog headlines like ‘True Real Estate Tales and Gossip’ and ‘While You Were Sleeping, Here’s How Much Your Property Value Went Up’, what property owner could possible resist this engaging title? So what’s my point? Why aren’t you doing the same? Imagine this; Every morning when you turn up at work, there are 122 people lined up at your office waiting for you to open and they’re all looking for a real estate solution. They’re just standing there sipping coffee like they’re lined up for the boxing day sale and it didn’t cost you a cent! So your website and blog is the ‘new’ office. Get it? Folks don’t even need to drive downtown to see you because they can come and say “Hi” from anywhere in the world on their mobile phone. And the really great news is that very few agents in your area are posting content that will help them so NOW is the best time to get started. Sorry? What’s that you just mumbled? You can’t write? Okay… find someone who can? Copy Mel’s lead and set up great content that works around the clock in every country and timezone and build that line of clients waiting for you to open. Want to know Mel’s secret formula for engaging so many potential buyers and sellers? She doesn’t sit back and anonymously post boring stats and info, she jumps in and shares her personal experiences and brings people into her life through her writing. When Mel and husband Brendan bought a vacation cottage in Prince Edward County she not only blogged about it, she took us through the process and even offered to hook us up with the agent they bought through if we were thinking about doing the same. When a BREL Team client sells, Mel and Brendan offer complementary staging so she wrote a blog about their staging warehouse. When the mayor of Toronto fessed up to his crack cocaine addiction and it became CNN’s number one story, Mel wrote a great blog defending the city she loves and why people should move there. Brilliant! She called it 33 Reasons to Still Love Toronto. If you’ve only got a lemon, make lemonade. Here are 7 power blogging tips that work for Mel and every great blogger I know. Google loves regular writers. The Google algorithm is so intelligent it picks up on regular posts and well-written copy. Feed the best and it will reward you with new clients. When I read Mel’s blogs and news updates, it’s like I’m listening to her speak to me. It’s always natural and interesting. If you’re not gifted at writing (or don’t think you are) Just dictate something into your iPhone and send it to a VA to transcribe then simply edit your copy and proof it when it comes back. If your real estate business is in Bendigo (Gorgeous gold rush city in Victoria Australia and home of Bendigo Bestagents) why not write a blog about moving to Bendigo or choosing a local real estate expert? Why not create a contact list of people every home seller and buyer must have? When I moved to Canada in 2008, I was worried my clients would leave. I was embarrassed my marriage had failed and that I left Australia to be with my kids.. It was a difficult time in my life. So I took a gamble and shared my story. Support and understanding was instant and lasting. The magic happens when you bring people into your life and share your story. Don’t make the mistake of going over the top with this because Google’s algorithm will find you out and call BS. But be sure to use key words in your heading and copy. Sign up for Google Adwords so you can see the traffic key words and key word phrases attracts. I call this piggy back marketing and rocks! One of my most popular blogs predicted a Trump victory in the November 2008 election. I called it ‘5 Things Donald Trump Can Teach Us About Marketing’ After the election I wrote a follow up piece titled ‘Trump’s An Idiot’. The email that I sent out to promo that blog set a new open rate record. Stephen King is my favourite writer because he quickly takes me into the scene like I’m live on the set and watching it happen. Good writing engages and entertains. Let people get in and out and come away with a great reading experience. Three of four hundreds words is plenty. Do you feature a new contact opt-in box sign up form on the front page of your website (without scrolling)? If you don’t, you should. If people are going to your site and you don’t give them the opportunity to connect with you, you’re leaving money on the table. Check out the way the BREL Team’s landing page offers a changing opt in offer to appeal to different needs the site visitor may have. Sign up for Mel’s blog here and join the party! *I just messaged Mel to check the ‘2000 visitors a day’ stat and she confirmed it’s not all organic. They use Facebook to boost listings to their tribe of followers and daily visits can often be much higher than 2000 when they are running a high number of listings during peak selling periods. Are you building boosted Facebook posts into your marketing campaigns?